It's fair to say that the Samsung Galaxy Gear was a bit of a let down for many. After all, it failed the biggest test of all by featuring heavily in TechRadar's 2013 video of tech disappointments. But Samsung is determined to right its wrongs, and although it already announced that a second watch is on its way, this one could come with a completely new identity in the form of the Samsung Galaxy Band. According to Digital Daily, the Galaxy Band will be more focused on fitness that its predecessor, possibly more of a competitor to the like of the Fitbit Force than the Pebble or Sony Smartwatch 2. The source claims that the Galaxy Band will be packed with load of sensors for capturing data on motion, pressure and temperature, and that it will link to Samsung's Galaxy devices via Bluetooth LE. 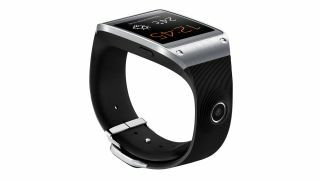 It's also said that Samsung will introduce its new fitness band very soon - at MWC 2014, in fact, which takes place in February. Galaxy Club, meanwhile, spotted that Samsung just had a patent published for a wristband with a flexible screen that looks like it could very well be the Galaxy Band. The device looks like it's been stripped of the camera and probably microphone too, leaving a bare-bones notification device and fitness monitor. On top of all that, Luc Julia, VP of Samsung's innovation lab and former Apple engineer who oversaw the development of Siri, is said to be overseeing the project. Julia joined Samsung in 2012 and has been heading up its Internet of Things project, SAMI (Samsung Architecture for Multimodal Interactions). While the source suggests the Galaxy Band is a successor to the Gear, it's worth remembering that it could be an entirely new product line completely. After all, MWC doesn't match with the previous Galaxy Gear 2 release date rumours we've been hearing about. Or has Samsung decided to cut its losses with the full-blown smartwatches and decided that fitness is the way into the wearable tech market? Hopefully all will become clear in a couple of months' time. The Galaxy Gear. What went right? What went wrong?